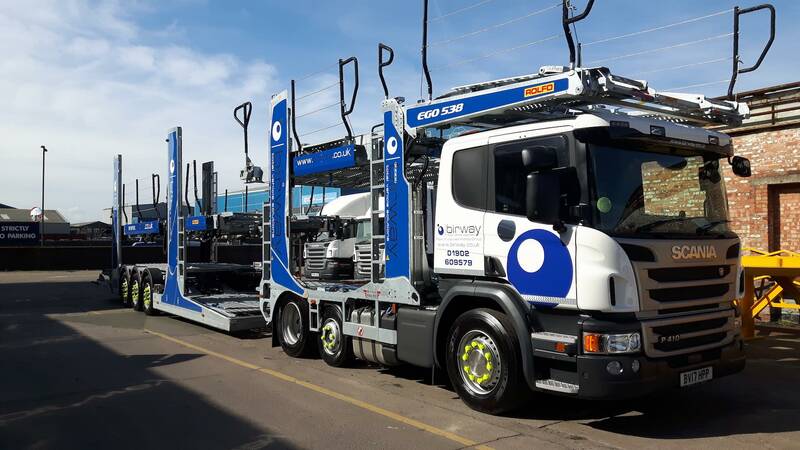 At Birway we operate a nationwide fleet of corporate branded transporters, which combined with our uniformed personnel, who are trained and certificated by the BVRLA, guarantees the highest standards when representing our clients. Offering flexibility we can accommodate transportation of all types of vehicles, including: new and used cars, light commercials, specialist collections, lock down/non running and end of contract collections. Our service is tailored to meet the needs of our clients, from single to multi point vehicle collection and delivery. We also have specialist transporters capable of moving low clearance high value vehicles such as Ferrari’s and Bugatti’s. Our comprehensive insurance policy cover means you are in safe hands when sending your instructions to us. As part of the Hammonds Group we are preferred suppliers for the transportation of vehicles for the following major UK organisations: Lex Autolease, Black Horse, Lombard Vehicle Management, Royal Bank of Scotland, G E Capital, AAH Pharmaceuticals, Bromford Housing Group, Listers Group, British Car Auctions and Renault Retail Group UK.